of the Active Layer window, presented below. 1. What is the meaning of the "*gain*" value? 2. When I am performing the simulation in TRSYS with different "*min. 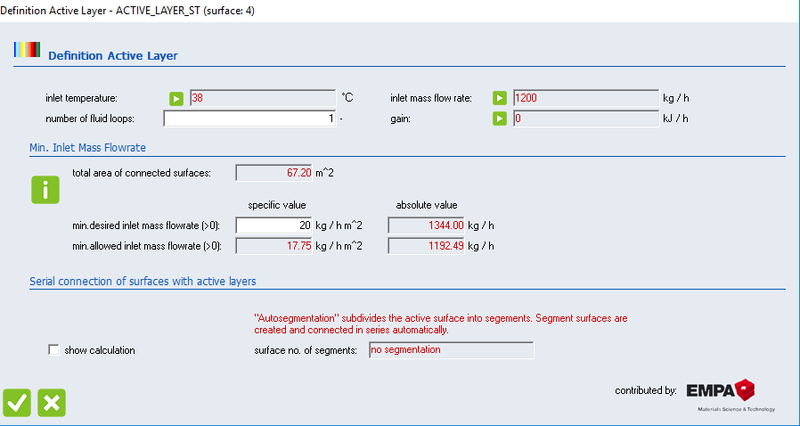 with "*inlet mass flow rate*" value? temperature* of the heating system? 5. What does the *Qsens* represent in more details? aforementioned values description, please let me know.